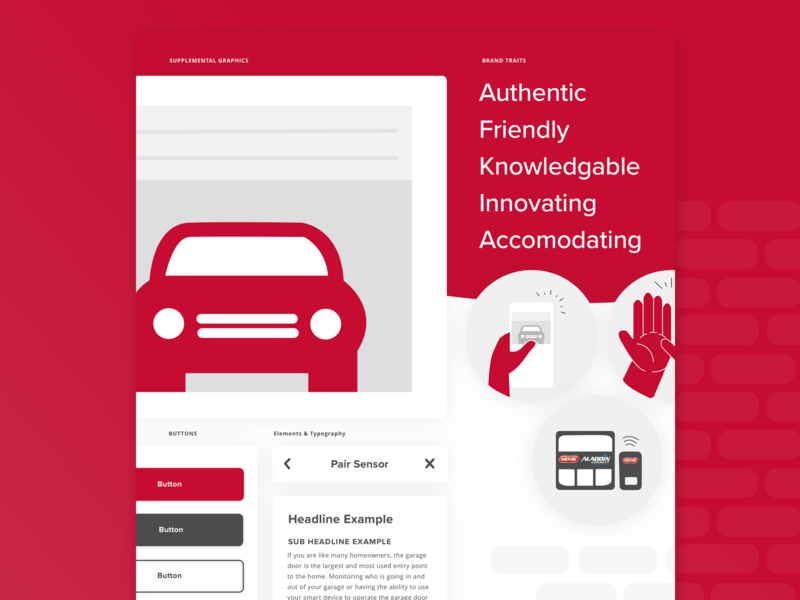 The approved style tile for the garage door opener app the team has been working on for the last few months. The style tile was based on elements identified in the design workshop we had with the client along with the current brand standards. This exercise was incredibly helpful for both teams to have alignment on the design direction of the app.